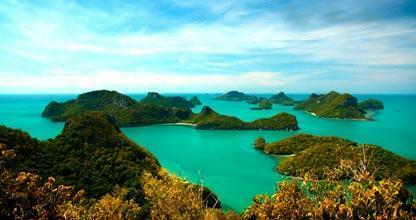 The National Marine Parks of Thailand is a sight and experience few who visit there ever forget. Not only is it beautiful to view from above, but the protected underwater world is stuff story books are made of. Mostly un-inhabitat they boast an array of under-water life and also on-shore attractions and fauna and flora. Scuba diving opportunities the Similan and Surin islands, Ang Thong and several others parks draw scuba divers to Thailand year on year. 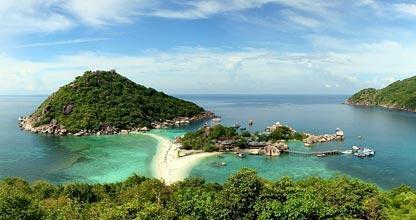 Koh Nang Yuan is a miracle of nature. It consist of three hills connected only by two pristine white beaches and is located only a few hundred meters from Koh Tao, Thailand's premier dive destination. The highest of the three hills has a view point you can climb up on for the most amazing photo opportunities. 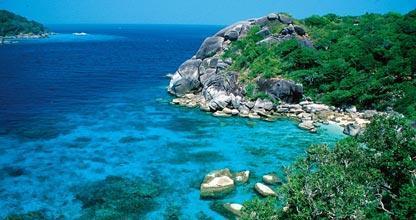 Ang Thong is located 45 minutes by speedboat to the north-west of Koh Samui in the Gulf of Thailand. 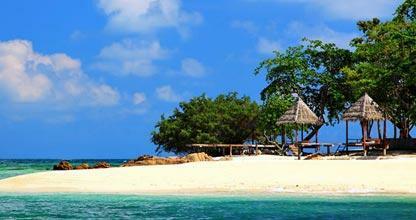 It consist of 40 small scattered islands and forms part of the Koh Samui archipelago. Boat trips which include snorkeling between the islands to view coral and tropical fish is available daily. 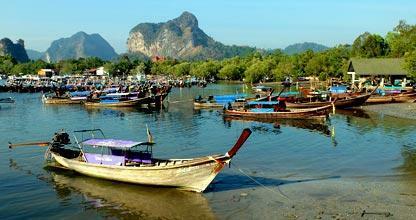 Krabi Province has it's share of parks and Noppharat Thara - Mu Ko Phi Phi is Thailand's 47th park. 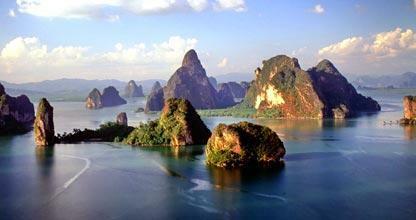 It includes the mainland and 80 small islands, including Phi Phi Don and Phi Phi Le. These offer calm waters and is great for snorkeling and diving. If you are visiting Phuket, Krabi or Koh Lanta and scuba diving is on your agenda, make sure the Similan Islands is part of your plans. The Marine Park has been rated number one by the U. S. publication, Skin Diving, of the top ten dive sites in the world. 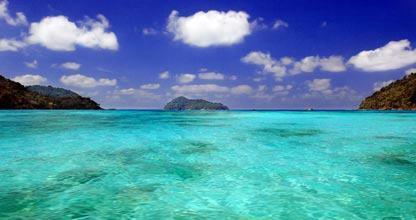 Surin consist of 5 separate islands located a 100 kilometers north of the Similan islands in the Andaman Sea. The Islands is home to several tribes making a living from the sea, providing a cultural window for visitors into their way of live and also offer several hiking trails. Phang Nga Bay with it's limestone cliffs towering toward the sky, islands, villages, forests and emerald water that dazzle the worst of critics, still don’t define the beauty of Phang-Nga Bay. When staying in Krabi, on Phuket or on Phi Phi, make sure you book a boat trip to this beautiful location. Located in the east of The Gulf of Thailand. Beaches lie all around Koh Samet island continuously from bay to bay and all are in pristine state.